I like how Coca-Cola influences our minds that, every sport must associate with a can of Coca-Cola. 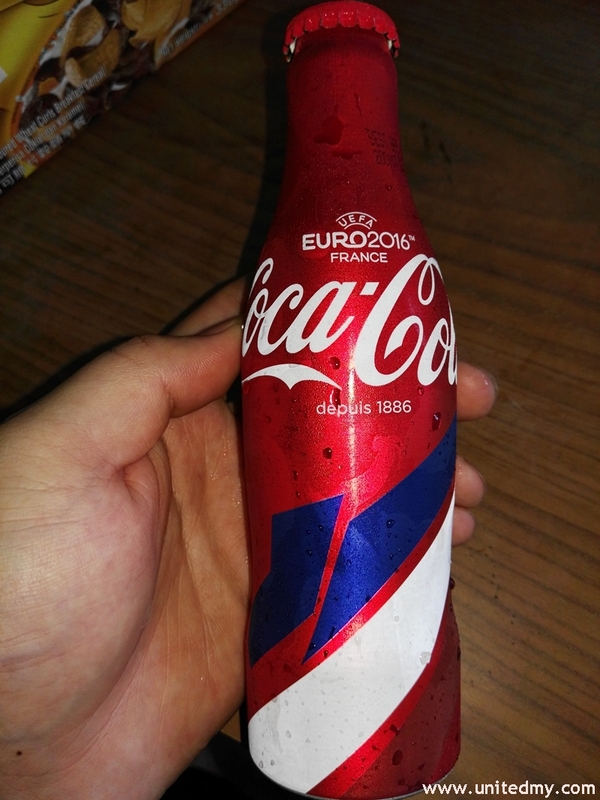 Not that I like Coca-cola or Euro 2016, I simply like how Coca-Cola, Euro 2016 France and the new packaging combined altogether. Instead of collecting the Coca-cola bottle which many has done that to the extent that they will put all of the Coca-Cola cans to a big shelves for displaying. I personally rather collecting the memory and photo with Coca-Cola. I do not go to a store and pick up Coca-cola randomly as my diet cannot afford a flavored drink. Besides, It cost more or less RM7.00 at 7-Eleven store, you might think this is some kind of purchase at Hotel or Island, no. Who are going to buy 250ml Coca-cola with RM7.00 right ? someone need to be a Coca-cola fans to do that. It so strange that whenever Coca-cola made any promotion or new packaging, I have desire to buy it. Reminiscing how much Coca-cola I have drank in my life, it is crazy ! So any Malaysian Coca-cola fans wanted to collect it feel free to visit nearest 7-Eleven store now !